The Lady Tigers defeated North Garland Tuesday night 45-19 at the TISD complex to push their record to 6-3. I posted a small write up of the game on Terrell's ihigh page. Look for more pictures on Facebook later tonight. The Lady Tigers next game is a District game Friday night at home against Red Oak. 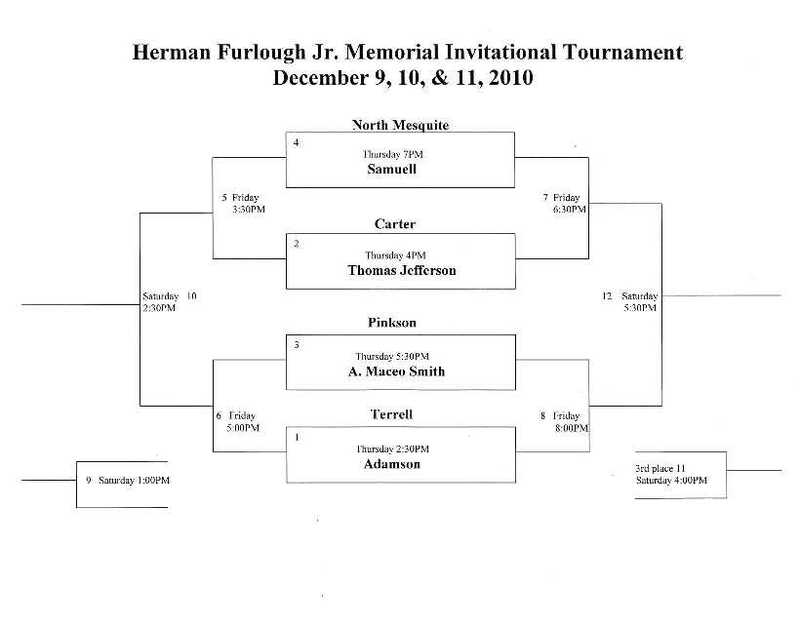 The boys basketball team hosts the The Herman Furlough Jr. Memorial Invitational Tournament Thursday at the TISD Complex. Schools participating include Carter, Pinkston, Adamson, Samuell, Thomas Jefferson, North Mesquite, A Maceo Smith. Below is the schedule for the tournament, click for a larger view. 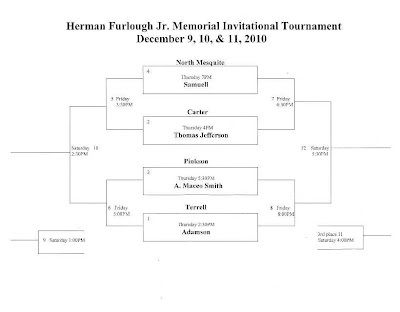 Friday games will be played at Herman Furlough Jr. Middle School in Terrell. The boys first game is Thursday at 2:30.